This week was a week of beginnings and endings across comics. 'Dark Knight III' and 'Reborn' complete their runs, Marvel launches a new 'Darth Vader' title, and in 'Batman' it's a little bit of both. 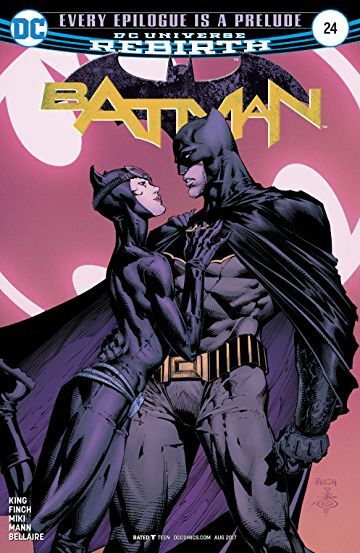 As we reach the end of King's "I AM..." trilogy and prepare for "The War of Jokes and Riddles", there's a bit of unfinished business for Batman with Gotham Girl and Catwoman. There's a great approach here with the art where we get to enjoy Clay & Seth Mann during pages with Gotham Girl and David Finch & Danny Miki on pages with Catwoman. The new comers and old faithfuls on art lend credence to the idea that this issue works as both an epilogue and prelude for these chapters in Gotham.